Some days ago, I was at home preparing for a talk I was giving at my department’s weekly seminar that same afternoon. I was making lunch when I realised that I was feeling quite relaxed that day. This shocked me, and I started reflecting more about that feeling. Contrary to other times, I wasn’t particularly worried about giving that talk (I had just given the same presentation a couple of weeks earlier at a conference). I then started thinking on one of the first times I presented in front of a big audience. This was a year after I graduated from my Masters. Although I wasn’t officially enrolled in any academic programme, I was presenting a poster at a conference in Berlin. This wasn’t a typical ‘poster session’ in which you stand next to your poster, but all attendees were also required to give a very brief 2-min introduction of the poster to the audience. I remember being absolutely terrified. Those 2 minutes were going to be the first time I was standing in front of a crowd of around 100 people (this conference was huge) to tell them about my work. I started working on it months before the presentation. On the night before, I couldn’t enjoy the social activities that were organised because I opted for going back to the apartment and practice my ‘2-min’ talk once again. At that time, I wasn’t doing quite well in terms of my mental health. I was having too many episodes of anxiety accompanied by panic attacks. Nevertheless, since I still wanted to pursue a career in academia and apply for a PhD, I decided I wanted to face my fears and take this step. The conference was a great opportunity to present my work and get feedback and ideas from others (at that time, my ‘research proposal’ was at its early stages). Once I stood in front of the audience I felt horrible. I was so nervous that I couldn’t think of anything else but just repeat what I memorised. I don’t think I even bothered to take care of my intonation or anything – I just stood there, like a robot, uttering something that didn’t make any sense to me at that moment. A couple of years after that talk I gave my other first-ever talk in academia (the ‘60-min’ talk). This was given at the student-lead Philosophy Society at the UofG. While I was still a bit nervous the moments before that talk, everything completely changed once I stood there in front of everyone. I started explaining my research and I forgot about everyone who was around – I was completely focused on what I was saying and how I wanted to communicate those ideas. Although it wasn’t a perfect presentation (I completely lost track of the time and I went 15 minutes over), everyone enjoyed it and I received very positive feedback, including very interesting questions from the audience and expressions of interest in my research. Following those talks, I have had plenty of chances to repeat the same experience. I have presented several times at conferences and departmental seminars. I am still learning how to improve my presentational skills and each time I get better on my timing, intonation and communication. The most dramatic change though is that I reached a point in which I really enjoy giving talks. I like the feeling I get when I realise I can communicate my ideas effectively. It is also a boost of self-esteem when people show interest in your talk. Practice with your peers. Your colleagues would be more than willing to help you out and be your audience for practising your presentation. Even if it’s just one person, this can help you to increase your confidence and to plan the talk. Practice at seminars or the like. Many departments organise seminars were postgraduate students present their works to others. If your department doesn’t have one, talk with your supervisor or coordinator and suggest their implementation – they might just need some people willing to do so. Another alternative is to start organising your own seminars among your colleagues. Look for graduate conferences. 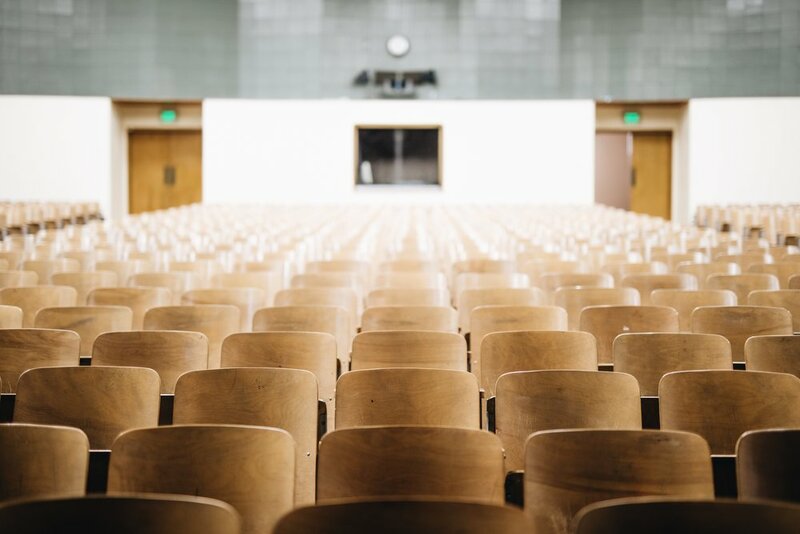 There is a great number of postgraduate conferences around the country, many of them even happening in Glasgow, so before you venture to a conference abroad, it’s good to have a ‘taste’ of how it’s like to present at a conference by applying at a local one. For instance, did you know that the college of arts organises annually its own conference? This is a good chance to present in a space that you already know and feel more confident. Similarly, more and more conferences are adopting a ‘Work in progress’ approach where postgraduates receive constructive feedback on their unfinished work and research proposals - look for them! Talks outside academia. If you still feel scared to present in an academic environment, have you thought of presenting in a different atmosphere? The folks of Pubhd organise monthly talks at pubs led by PhD students. Try a poster presentation first. Finally, if you still feel uncomfortable giving a talk but you still want to participate in a conference, why don’t try presenting a poster? In this post, Ann shows us how this isn’t limited to the ‘hard sciences’ (my first participation in a conference was with a philosophical poster!). Although usually, at poster presentation you don’t need to give a talk, it provides you with the opportunity to attend the conference and discuss your work among other people working on the same topic. Are you struggling with public speaking? What has worked for you? We would like to hear more! Leave us a comment below or tag us on @UofG_PGRblog.